A thread for talking about the upcoming movie, so that we can keep the current thread relatively spoiler-free. The one thing I rilly-rilly hope they include, but am really afraid they may have to cut for time purposes, is the interviews with the OTHER victors. That's hands-down my favorite part of the book, because I love how perfectly subversive they all are. And I love the idea of the D1 girl talking about how sad she is for the Capitol people who've come to know and love the victors, and I love the audience just lapping all of it up. And someone (Beetee, I think), saying that they need to reexamine the rules. 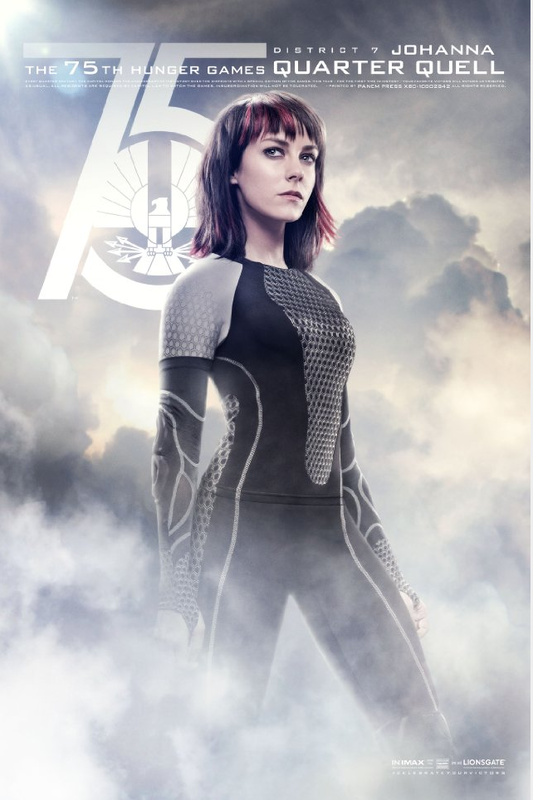 Also: JOHANNA IS JENA MALONE, WHO I ADORE. Things I am not happy about: The only two tributes who appear to be people of color are Enobaria (who is both totally evil AND has an animalistic appearance) and Beetee (who has, um, problematic... problems in Mockingjay). I really, really feel like they should have Tried Harder for better race representation in this movie, especially considering the white-washing of Katniss.